havent seen the fight yet but all I read is Fury got robbed does this mean Wilder got mugged ? i've never really checked but i'm thinking an average 10 count probably goes for 15 seconds or more. 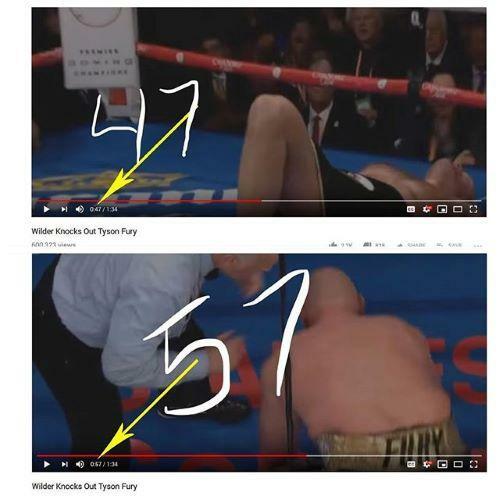 also, i'm sure fury was listening to the ref's count so he took advantage and got up at 8 when it was really 12-13 already. oh I agree on counts being all over , havent watched it yet you saw it ? i haven't watched the fight. reminds me of don king complaining about Tyson knocking down Buster Douglass and a long count. The WBC has sanctioned a "direct" rematch between current heavyweight champion Deontay Wilder and Tyson Fury. The two fought out a controversial draw on Saturday, December 1. Per BBC Sport the WBC announced there was "unanimous agreement" to sanction the rematch. The statement also said the rematch will take into account the mandatory status of the division: "Wilder and Fury gave boxing one of the best fights in the heavyweight division in a long time, which has created tremendous popular demand for the fans to see a rematch. "The WBC is happy to confirm a direct rematch has been approved and will create in a ruling which will also consider the mandatory status of the division."